We're adding two SonicWALL NSA 2600 firewalls to our current setup. We currently get two WAN connections from two separate Cisco routers running on the same external subnet with what I believe is HSRP. Right now we run these two connections into two Cisco switches, and all of our computers then plug into both switches with NIC teaming. 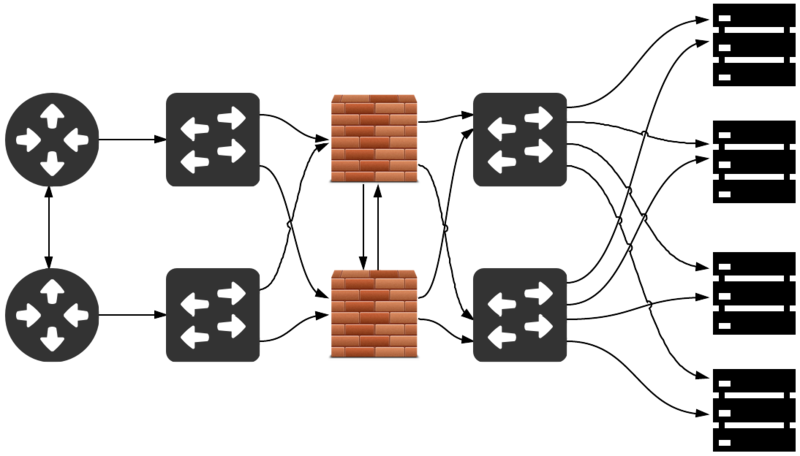 In the new setup, we'd like to create a 3-port VLAN on each switch, one port for the WAN connection from the Internet and two ports for each NSA 2600. 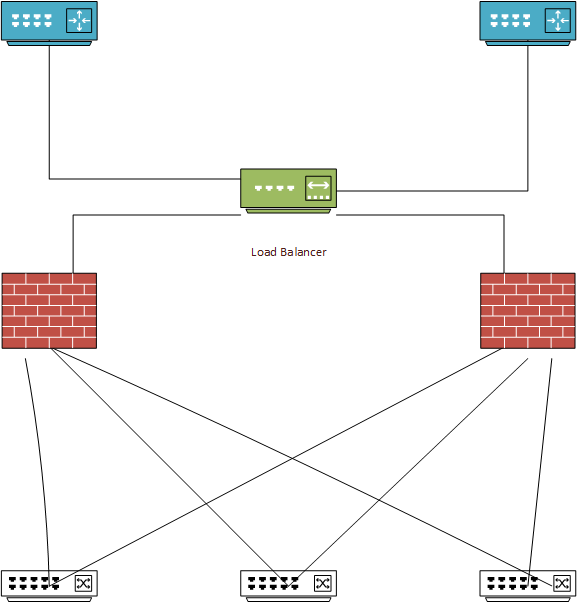 I've got the WAN port setup from one switch to each SonicWALL in HA mode. 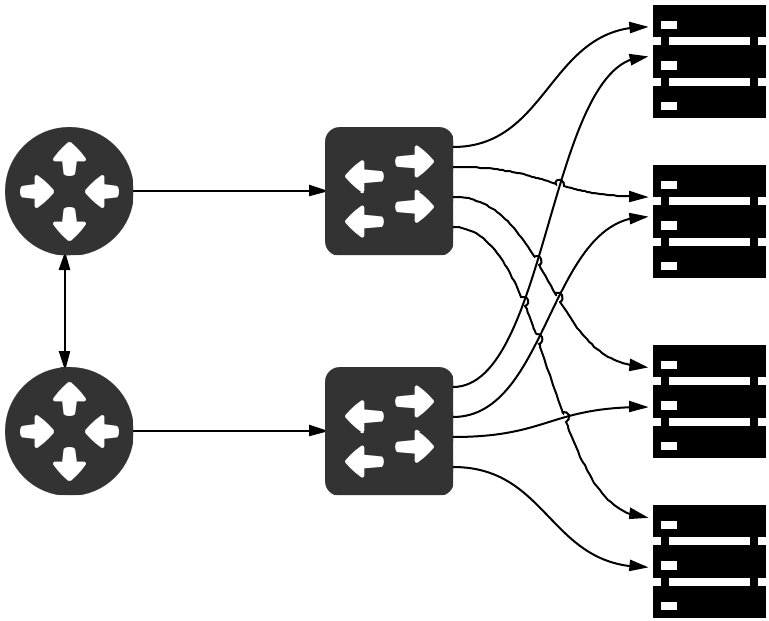 If I add the second switch connections to X2, I can't figure out how get the bridged in the Network section. 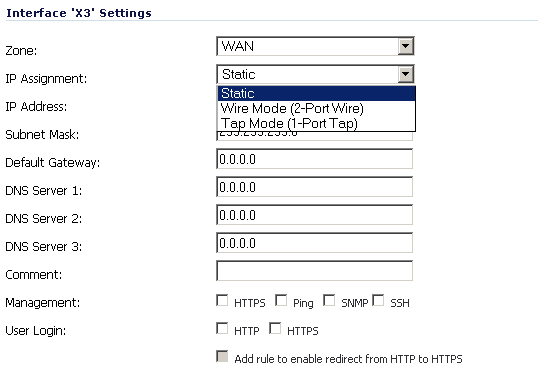 If I choose the WAN zone, I just get Static, Wire Mode, and Tap Mode. Static doesn't make much sense, since I'd need to pick a new IP address. Wire Mode will only let me choose unused interfaces (X4 and X5), and Tap Mode looks totally useless. Does anyone have any tips on how to make this work or where to learn more about getting something like this working? The other, much more complex option would be to test creating a custom Zone on the Sonicwall and modifying the routes to use that zone as a WAN. The downside besides the obvious time commitment to configuring the routes is that this option would not allow for Failover & LB to utilize this zone. I would recommend looking into a load balancing device or similar intermediary between the Ciscos and the Sonicwalls. In the current Firmwares you could select the x1 interface -> goto advanced and pick X2 as a redundant port for X1. that might be what you need? Not the answer you're looking for? Browse other questions tagged high-availability redundancy wide-area-network hsrp or ask your own question. Does a IPv6 network benefit from a HSRP setup on the routers? Multiple WAN interfaces in same subnet on Sonicwall NSA220? 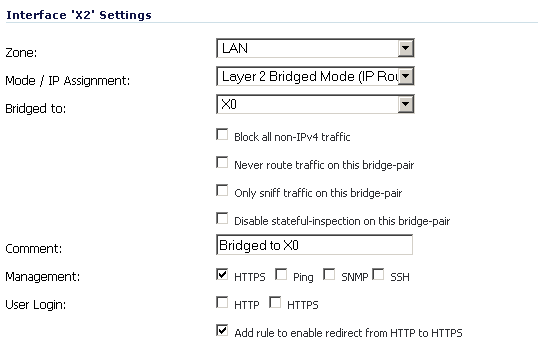 Should I create a second WAN Interface for a new SSLVPN setup on my Sonicwall 2400?